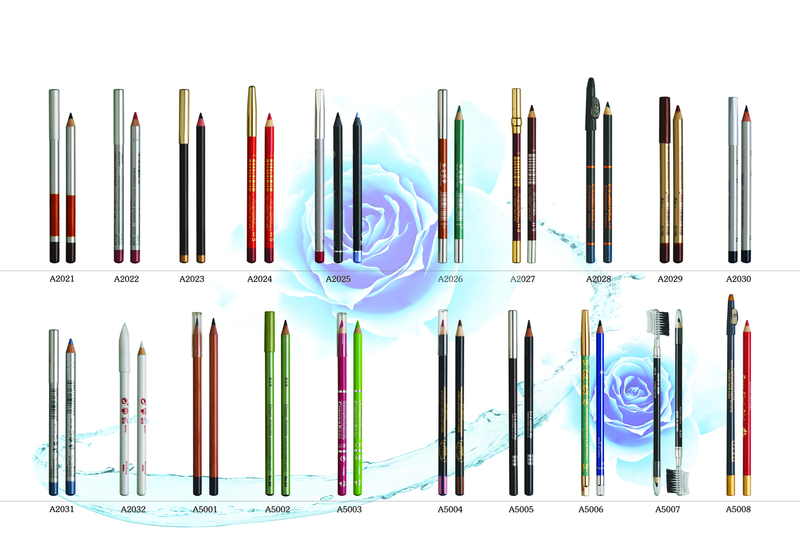 Shown below are an assortment of pencils in wood and plastic varieties for eyes, lips, and brows.Choose from these styles and decorations or create your own look. We will duplicate your provided core shade or you can choose from our vast selection of colors. 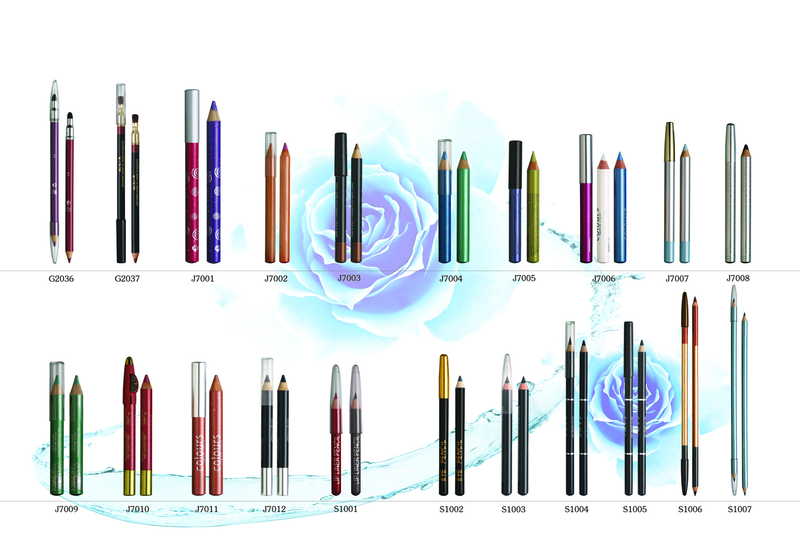 Every order is unique and custom tailored to your specific taste. 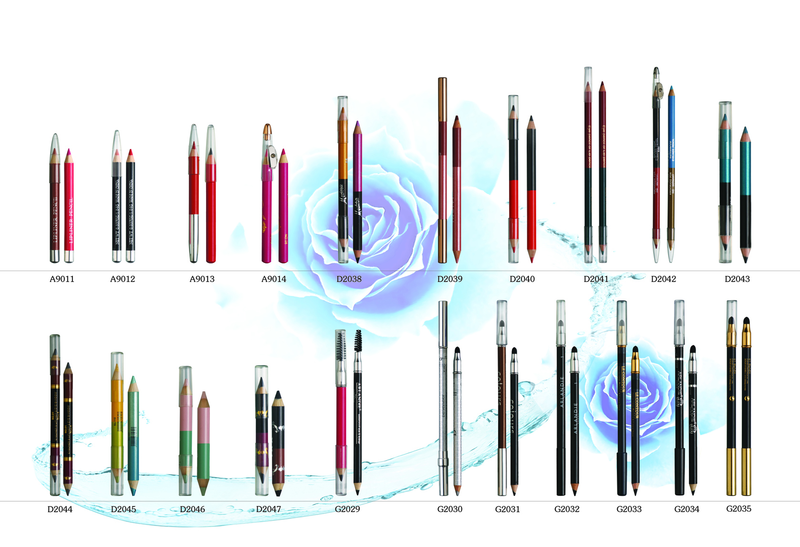 We can also custom print your logo onto the pencil of your choice, just send in your artwork! 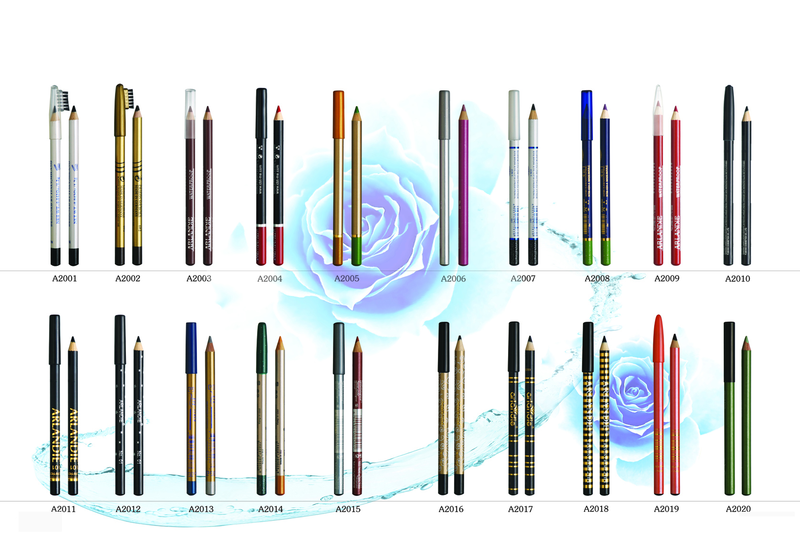 Building your own pencil is just as affordable as choosing from a limited selection of someone else’s pre-chosen colors. 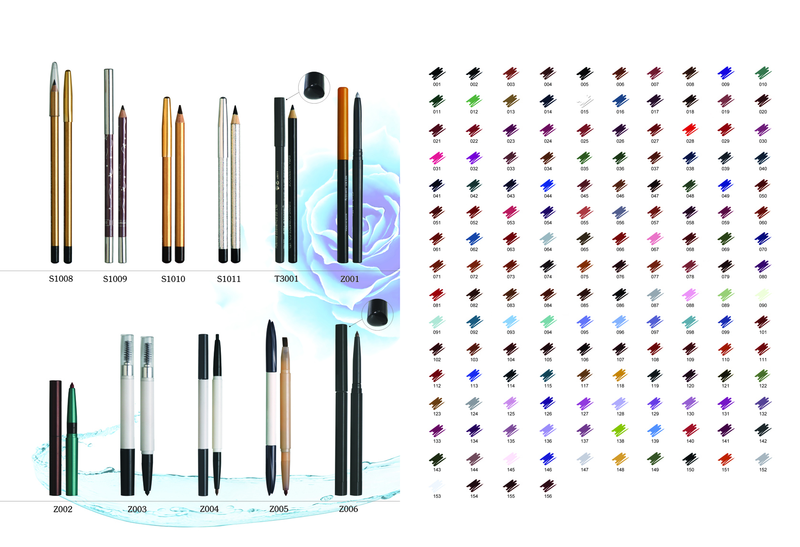 We have a 6000 pc minimum per color that enable us to keep our prices low. 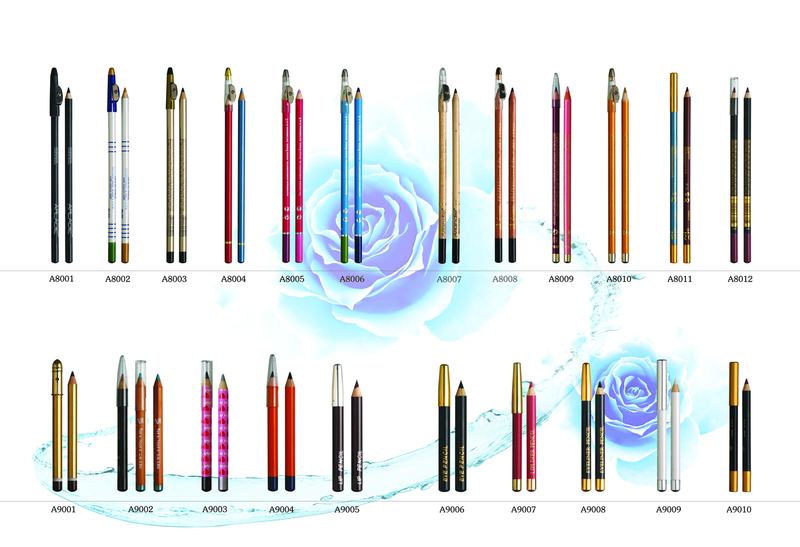 Cosmetic pencils are excellent marketing tools for your business. Promote your brand inexpensively. Use them for magazine and online promotions, gift with purchase, goody bags, donations, and more! For pricing, please fill out our quote request form.